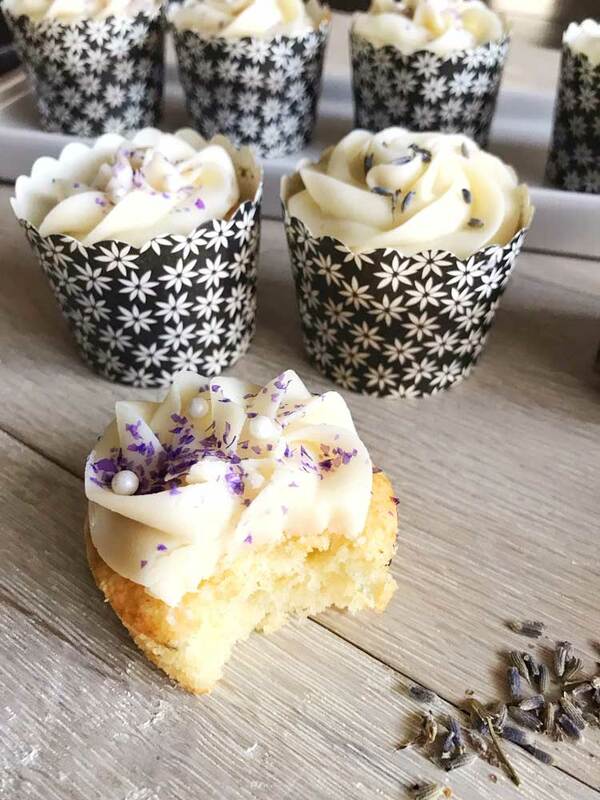 These lavender cupcakes are topped with a luscious buttercream icing and perfect for any celebration. It’s my birthday and I’ll make cake if I want to. Cupcakes to be exact. 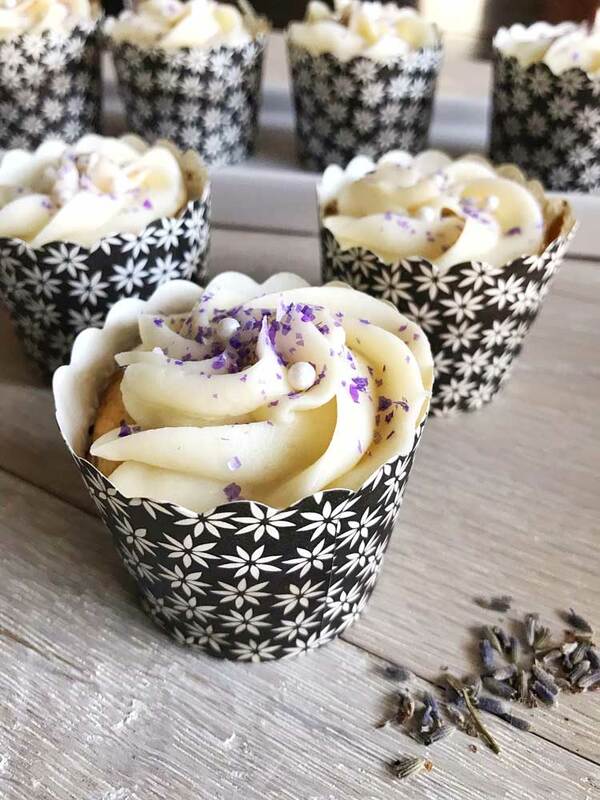 Good lavender can be very potent and a little goes a long way. You only need about a tsp to give it the perfect amount of flavour. I used my go-to recipe, the sour cream cake that is always a fave and just made an addition. The result was a delicious tasting cupcake. I love a good buttercream. It’s definitely one of the my favourite icings. Usually, I just add a splash of vanilla to my buttercream icing. I wanted the vanilla to be a bit more prominent in this buttercream to go with the flavour of the cupcake. I used this recipe and added 2 tsp of vanilla. It was the perfect pairing to the lavender. Combine the butter and sugar and beat for a couple of minutes. Add the vanilla and eggs until incorporated. Add the sour cream. In a separate bowl, combine the dry ingredients and add to the butter and margarine mixture. 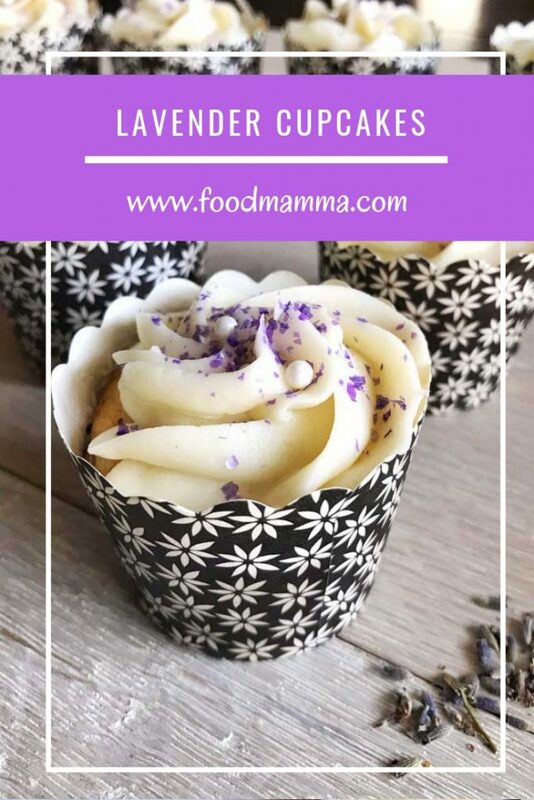 Scoop batter into mini cupcake wrappers and bake at 350 degrees for 20-25 minutes.